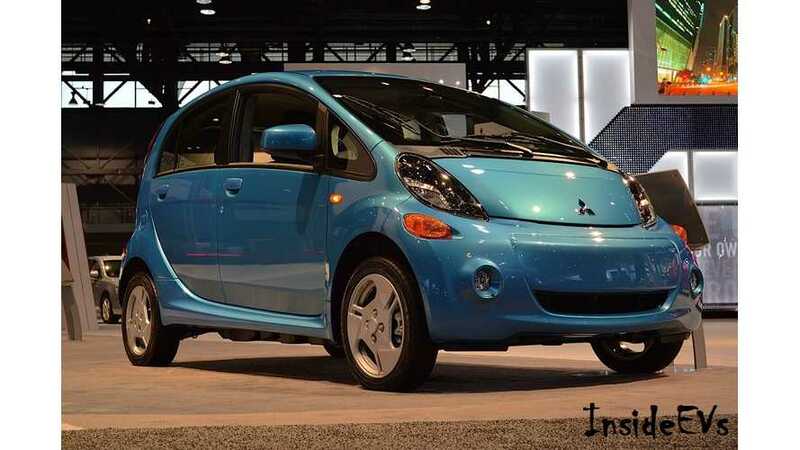 Mitsubishi i-MiEV sales in U.S.
Mitsubishi has finally withdrawn its only all-electric model - the i-MiEV, as the tiny EV hasn't managed to attract many North American consumers over its time on the market.. The i-MiEV was developed in 2005 and entered the Japanese market in 2009 after some extended fleet tests. In the U.S., a special modified version appeared on the market a year after the LEAF was introduced in 2011; although between then and 2017 some model years never arrived in the US at all. 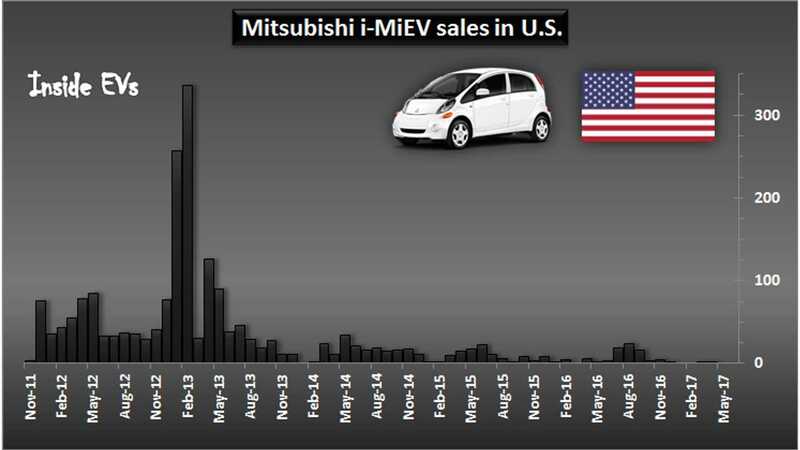 In total, 2,018 i-MiEVs were sold in U.S., and even less in Canada. That's only a fraction of the more than 50,000 sold in Japan and Europe (also known as the Peugeot iOn and Citroen C-Zero it a badge-engineering exercise). In North America, the i-MiEV was equipped with a 16-kWh battery, good for about 62 miles (EPA) originally - before actually being decreased to 59 miles in 2017 (and one wonders why it didn't sell?). Price including destination charge was just $23,845 (or $16,345 after federal credit is factored in). The Mitsubishi i-MiEV has now disappeared from the company's US website as all the remaining units have mostly been sold (we count 4 left), but the plug-in hybrid Outlander PHEV is still displayed as upcoming soon. For those in Nrorth America, the Mitsubishi Outlander PHEV looks like this! We have learned over the years (since ~2013ish), the Mitsubishi USA website listing for the Outlander PHEV of course means nothing, as everyone in the US knows that the plug-in Outlander as been delayed by our count at least 7 times since 2013...and shortly to be 8 times. The most recent promise was for a Summer 2017 arrival. 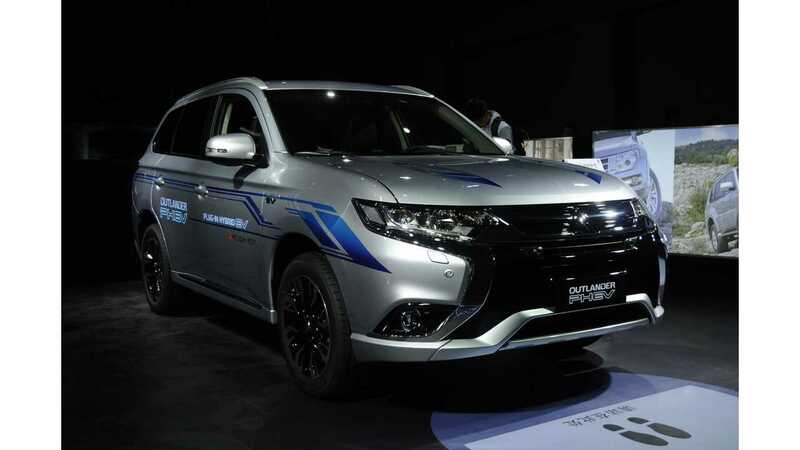 However, Mitsubishi rep Erica Rasch when noting the i-MiEV's demise, managed to sneak in the note that Outlander PHV would indeed launch this year (whatever that means), and arrive at Mitsu dealers nationwide "during the first quarter of 2018". We guess this was meant as a positive? In our books, Mitsubishi has cried wolf once too many times in the US on the Outlander PHEV's arrival, so we will only believe sales/intoduction targets for the popular (everywhere else) plug-in utility vehicles, when we physically see the first Outlander PHV on a US dealer's lot for sale.